Bergen Beach gets it's own online Farmer's Market. Holistic Nutrition and Natural Healing Practitioner Nancy S. Mure, PhD is a Bergen Beach resident and she’s concerned about what our families eat. This is her motivation for making Farm Fresh, Local food available to Bergen Beach and Mill Basin. 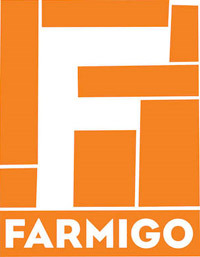 She’s teamed up with Farmigo–an online farmer’s market that connects consumer, workplaces, schools, apartment complexes and community centers directly to local farms. Members place their orders online at least two days before the delivery date. Then, local farms harvest to order and deliver their products to a central location. Eating local helps local farms grow and thrive by providing a direct market for their goods. It reduces nasty pollution and GMOs from the industrial food system and brings us closer to our food, farmer and each other.